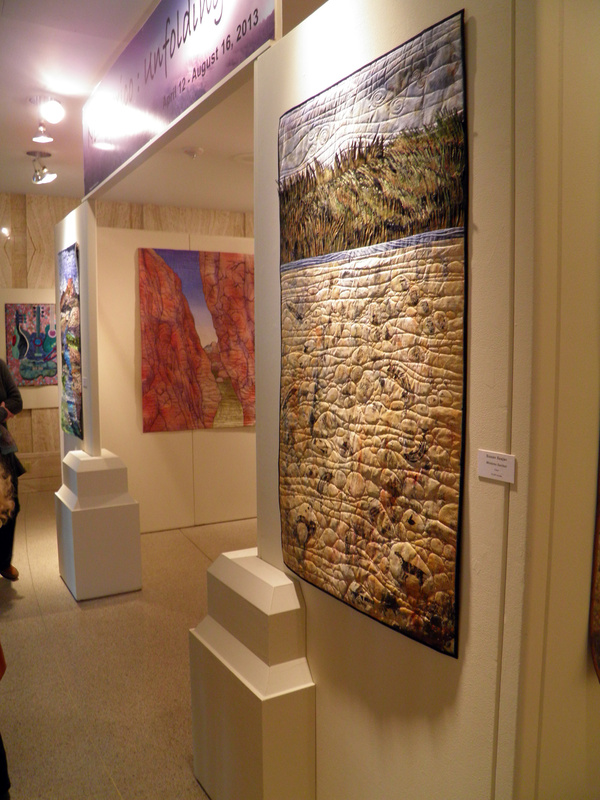 The SAQA New Mexico exhibit, New Mexico – Unfolding, opened at the Capitol Rotunda Gallery in Santa Fe last Friday. 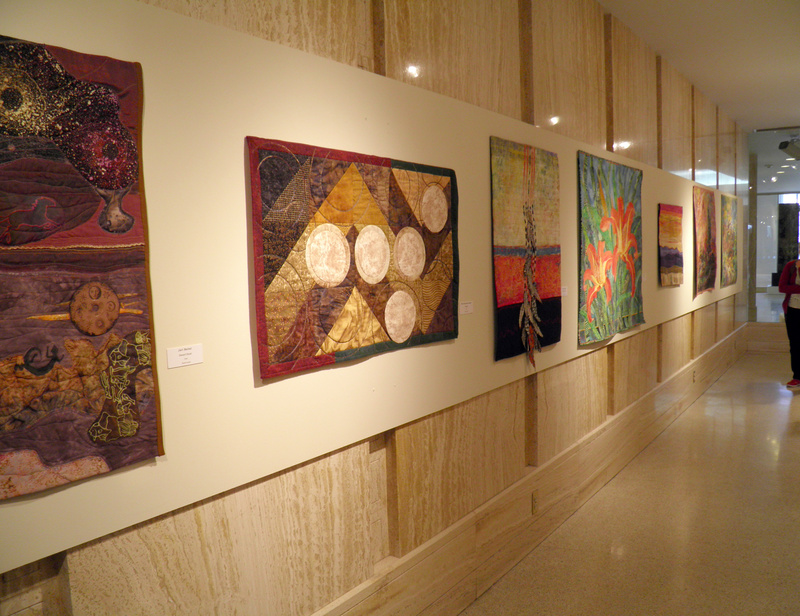 The quilts were beautifully hung and every quilt was exquisite. The show offers such variety in the interpretation of the theme of southwest imagery. 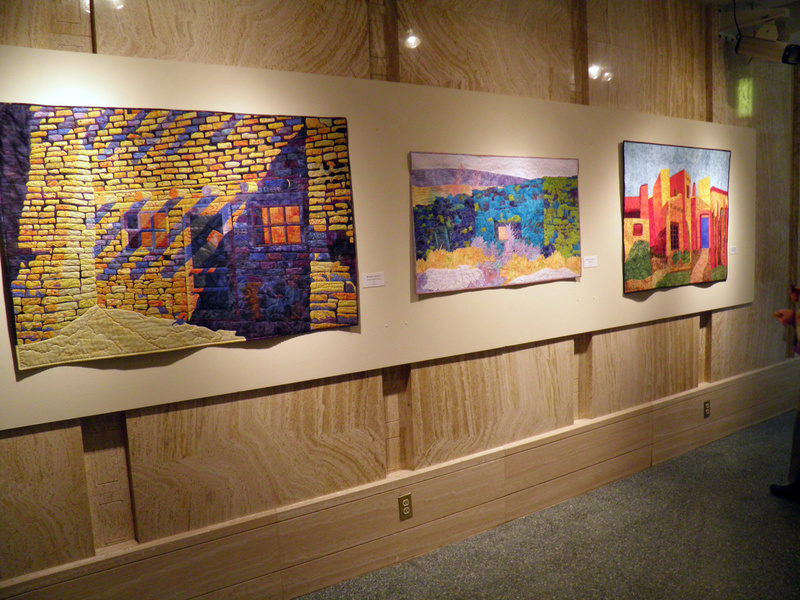 As you enter the exhibit, the colors beg you to explore each and every piece…amazing! I am so grateful to be part of this exhibit which is open Mon. – Fri. at the Capitol Rotunda Gallery through August 16, 2013.